Dr Joanna Williams is Head of Education and Culture at Policy Exchange. She is an author, commentator and the associate editor of Spiked. Joanna’s latest book is Women Vs Feminism: Why we all need liberating from the gender wars (Emerald, 2017). She talks about it here. Joanna is also the author of Academic Freedom in an Age of Conformity (Palgrave Macmillan, 2016) which she talks about here and Consuming Higher Education Why Learning Can’t Be Bought (Bloomsbury, 2012). She co-edited Why Academic Freedom Matters (Civitas, 2016). 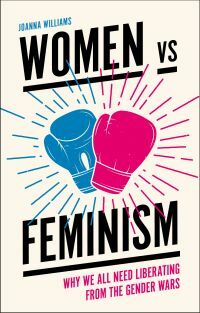 Joanna writes and speaks about feminism, academic freedom and education. Her writing has been published in numerous publications including The Spectator, The Sun, The Telegraph and the American Conservative.